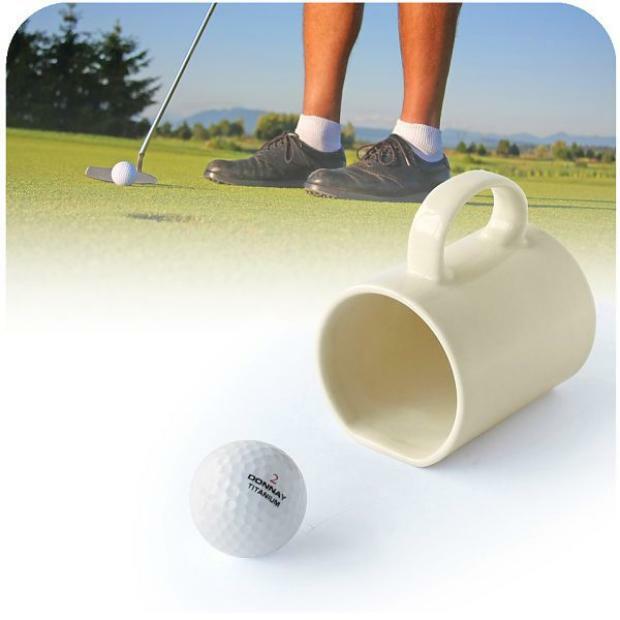 Ah the Golfers Mug: such a simple idea. Drink your coffee and then lay the mug on the floor flat-side down for a little putting practice before you tackle the day ahead. I might suggest putting with a new golf ball to avoid potential pesticide ingestion. That, or cleaning the mug and/or your balls on a somewhat regular basis. The Golfers Mug costs £8 ($13). Looks like it’s only available in the UK at the moment.